A single mathematics education leader can have an incredible impact on the development and effectiveness of others. Leaders in mathematics education at all levels of the school or district organization are crucial for ensuring attainment of high-quality school mathematics programs. The Math Specialist Leader concentration is a unique MEd degree in Mathematics Education Leadership for people who want to become K-8 mathematics specialists. The Math Specialist Leader concentration includes the required course work for state endorsement as a K-8 Mathematics Specialist. Students study mathematics content, curriculum, assessment, and pedagogy in the program. Students must have a B- or higher in all licensure coursework. By the end of the program, when students apply to the Virginia Department of Education for a Math Specialist endorsement, they must have three years of successful teaching experience and 6 previous credits of mathematics in addition to a master's degree. The 30-credit MEd in Education Leadership, Concentration in Mathematics Specialist Leader (K-8) (MSLR) program is designed for working professionals. Courses are offered in the evenings, and some courses meet online. Most people complete the program in three years or less. The concentration focuses on mathematics education leadership, with specific course work in mathematics content for the K-8 school setting. Students study teaching, curriculum, and professional development programs for teachers. They also explore school-based leadership issues in mathematics education. The internship (EDCI 702) in Mathematics Education Leadership is an individual experience designed and developed in consultation with a faculty advisor or mentor. The Math Specialist Leader (K-8) program is not an initial licensure program. Individuals seeking initial certification as a teacher should contact the Elementary Education or Secondary Education programs. The Math Specialist Leader (K-8) program is designed for working professionals. Most students complete the program in 3 years or less. Applications are available online Students should apply and specifically indicate their interest in the Math Education Leadership (MEL) programs on their applications. Do I need to apply and begin the program at a certain time to enter a cohort? Students are permitted to begin the program during Summer, Fall or Spring. Are there classes offered in the summer? There are some classes offered in the summer. As demand for the program increases, additional summer courses may be offered. Where are the Math Specialist courses being offered? Currently, the classes are being offered on the Fairfax campus of George Mason University and online using distance education technology. What if I already have my Master's Degree and just want to take the additional courses for the Math Specialist endorsement? Students who already have a master’s degree should have their transcripts evaluated by the state for the mathematics specialist (K-8) endorsement to determine which courses are still needed. The academic program coordinator can assist with finding courses once an evaluation has been completed. Check class schedule on Patriot Web. Can I take courses before I apply to the program? How do I sign up for courses? Students are permitted to take 4 classes as a non-degree student. To take these classes, students should go online and apply to GMU as Non-Degree students and register for the courses they want to take in the program. Can I transfer my Math Specialist coursework from other programs into my Master's Degree program at George Mason? 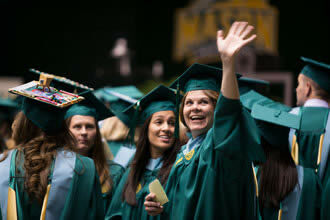 You may be able to transfer up to 12 credits into the GMU program from a Virginia partner institution. This transfer is dependent upon the approval of the Mathematics Education Leadership academic program coordinator. Credits cannot have been used toward a previous Master’s degree and must follow policies for transfer credit shown. Do my mathematics content classes from GMU's OES program count towards the Math Specialist program? Office of Educational Services (OES) courses are not permitted to be counted as courses in GMU's degree granting programs. Courses taken after spring 2005 do not qualify. Acceptance of these courses is dependent upon the approval of the Mathematics Education Leadership coordinator. What is the level of mathematics in the MATH designated courses? Students gain a deeper understanding of the mathematics content of the K-8 classroom and its connections to advanced mathematics. Math content exams are a required assessment in these courses. How can I obtain a Math Specialist endorsement in Virginia? Students can either apply through their school district or through GSE's Office of Licensure.